Good Tuesday morning, and happy State of the Union! You're invited ... to join our SOTU postgame show tomorrow, Wednesday, at 7:45 a.m. in downtown D.C. As part of my Axios News Shapers series, I'll host back-to-back interviews with Sen. Susan Collins (R-Maine), whose office became "Switzerland" during bipartisan talks to reopen the government, and House Democratic Whip Steny Hoyer of Maryland. RSVP here. I look forward to seeing you for breakfast and conversation. The coming release of a secret House memo, hotly sought by conservatives, will intensify the great muddying of the Russia investigation in the public's mind. Why the memo matters: Trump's allies are betting that when all is said and done — and when special counsel Bob Mueller has completed his report — the American people will be so thoroughly disgusted with everyone that the political outcome is a wash. I have been flooded with email from conservatives who have been ignited by the #ReleaseTheMemo campaign that has flourished online, fed by Fox News. The Trump Justice Department warned that the classified memo's release would be "extraordinarily reckless." That smoldering fire ignited yesterday after the House Intelligence Committee voted along party lines to release the memo, with the final decision up to President Trump. "Committee Republicans said the memo’s release would shed useful light on potential political bias that may have warped the early stages of the Russia investigation," per the N.Y. Times. "Democrats called the three-and-a-half-page document a dangerous effort to build a narrative to undercut the department’s continuing Russia investigation, using cherry-picked facts assembled with little or no context." This followed the revelation earlier in the day that FBI Deputy Director Andrew McCabe would step down in advance of his scheduled retirement, after months of private and public pressure from the Trump administration. What Trump can point to in the "failing" N.Y. Times: "Agents and lawyers expect the report by the Justice Department’s inspector general ... to be highly critical of some F.B.I. actions in 2016, when the bureau was investigating both Hillary Clinton’s email use and the Trump campaign’s connections to Russia." Jonathan Swan and I are told that President Trump has already made up his mind to release the memo, which he sees as vindication, despite Justice Department resistance. Trump believes it will solidify in the public's mind that there's a Deep State out to get him. Last night, I saw how hot the House was burning when I interviewed Rep. Adam Schiff of California, the Intelligence Committee's top Democrat, just after Sean Hannity had told his prime-time Fox audience that the memo would expose "the biggest political scandal in American history." Hannity said he has been told memo's contents "will shock the conscience," and that the bias in the early stages of the Russia investigation "makes Watergate like stealing a Snickers bar from a drugstore." Hannity added: "We're talking about potential crimes. We're talking about people being charged, going to jail. ... It's a scary night." Schiff told me his office has received obscene calls and death threats over the what he calls a "Republican spin memo," and said the right's "reckless hyperbole is just so destructive of our democracy." Schiff said the right faces the danger of a letdown when the memo "doesn't live up to its billing." 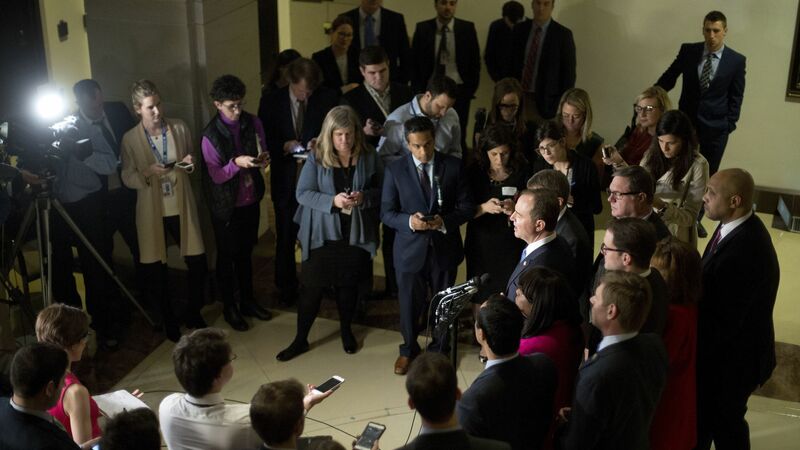 Schiff added: "They have so hyped this ... that they've led their echo chamber into thinking that this is something extraordinary. ... It's incredibly misleading. I don't think it in any way impugns the Russia investigation, or provides any basis for firing any of the personnel involved." Be smart: This strategy is working better than you think. Trump portrayed Hillary Clinton as an enemy of the state, and she lost. He turned the media into an enemy of the state, if you looks at polls of Republicans. And, perhaps most alarming of all, he's trying to make the FBI look like an enemy of the state. Forget the memo. Fundamentally, President Trump and big chunks of conservative media are arguing that the Russia investigation is unwarranted, tainted and malicious — that the special counsel shouldn't exist. Be smart: No sane person looking at those known knowns would say this is a crazy investigation. Yes, FBI agents have probably said things in texts they shouldn't have. Yes, former FBI Director James Comey was clumsy in his comments about Hillary Clinton. But none of that changes what this investigation is really about. President Trump's special guests for tonight's 9 p.m. (ET) State of the Union address make up an all-American cast: a African-American welder from Ohio who bought his first home last year; the first blind, double amputee to reenlist in the Marine Corps; a policeman who adopted a baby from opioid addicts. These "moments," when Trump singles out some of these special guests in the First Lady's box, are designed to be the most memorable parts of the speech, which aides say is designed to evoke pride in America. Aides point out that there are very few times now when the country focuses on one thing, and they tried to make the most of the opening. See the guest list, with photos. "The plush seats of the House chamber and the visitor’s gallery above will [include] lawmakers he has name-called on Twitter, Democrats who have called for his impeachment, members of congressional committees investigating his campaign’s contacts with Russia, and women legislators wearing black to support the ongoing #MeToo movement." Hype Week begins ... Philadelphia Eagles players take pictures during Super Bowl 52 Opening Night at the Xcel Energy Center in St. Paul, Minn.
"A group letter sent [today] to CEO Mark Zuckerberg argues that younger children — the app is intended for those under 13 — aren't ready to have social media accounts, navigate the complexities of online relationships or protect their own privacy." 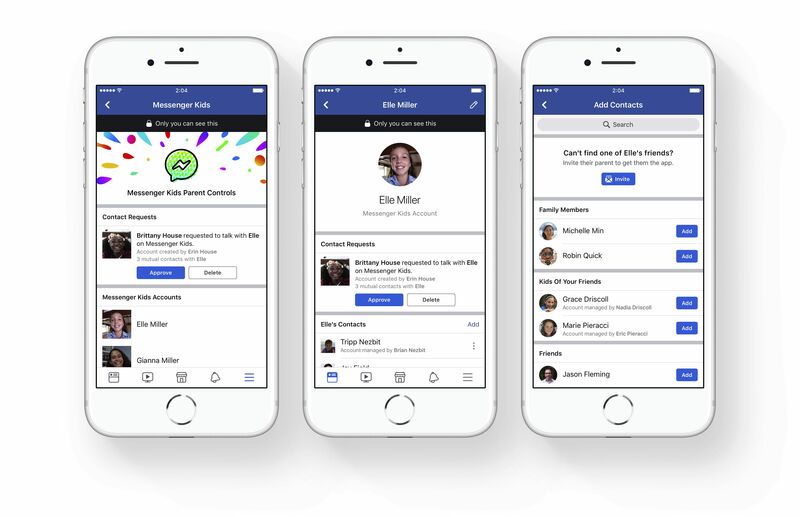 "Facebook launched the free Messenger Kids app in December, pitching it as a way for children to chat with family members and parent-approved friends. It doesn't give kids separate Facebook or Messenger accounts. Rather, the app works as an extension of a parent's account, and parents get controls such as the ability to decide who their kids can chat with." The letter, signed by psychiatrists, pediatricians, educators and the children's music singer Raffi Cavoukian: "Messenger Kids is not responding to a need — it is creating one ... It appeals primarily to children who otherwise would not have their own social media accounts." Facebook's response: The app "helps parents and children to chat in a safer way." Parents are "always in control ... [T]here is no advertising in Messenger Kids." "The son of a dentist from Long Island, New York, who grew up as a black man during the height of the Civil Rights Movement, Chenault never expected to be CEO of a major company, let alone work 37 years at the same one." Why he matters: "When Chenault became CEO, he was only the third black CEO of a Fortune 500 company ever. 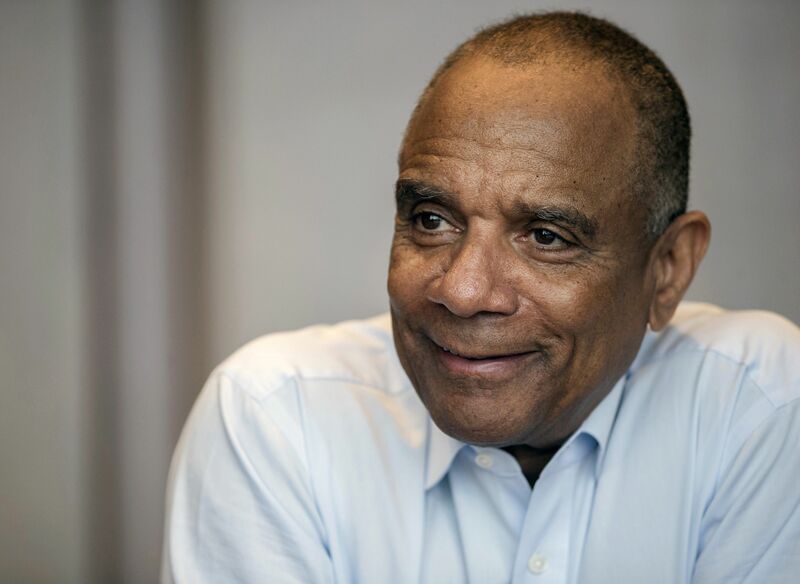 And for several years after his appointment, other black men and women were hired as CEOs, at companies such as McDonald's, Xerox and Merrill Lynch." "But that trend has reversed. With Chenault retiring, there will be only three black CEOs at Fortune 500 companies: drug company Pfizer, financial company TIAA and retail chain JCPenney." Chenault: "It's embarrassing. ... You need a pipeline of people coming in. You need to create an environment where people are embraced and engaged rather than just tolerated." What's next: "He will be joining the corporate boards of Facebook and Airbnb." "It’s 2018, and there are young men and women now being sent over there who were literally in diapers when we first sent troops to Afghanistan." MoviePass, the mobile app that lets you access one theater movie ticket daily for a $9.95 flat monthly fee, has withdrawn from 10 of AMC’s popular theaters. The same economics problem that led to the collapse of the newspaper industry, and that's currently haunting cable, is also happening to the theater industry: Viewership (in this case, admissions) is down, but the average price of movie tickets continues to climb. "Super Bowl ads offer a snapshot of the national psyche. Last year, just after President Donald Trump took office, ads offered themes of inclusion. Airbnb showed faces of different ethnicities with the copy 'We all belong,' and Coke re-ran an ad featuring 'America the Beautiful' sung in different languages." "This year, following a year of heated debate over immigration, NFL players taking a knee during the national anthem and the #MeToo movement, ... many Super Bowl advertisers are playing it safer by showcasing famous faces, focusing on inoffensive causes and trying to stand out with silly humor." "Groupon's ad ... stars Tiffany Haddish asking people to support local businesses — then cuts to a wealthy man who plots to crush small businesses, only to double over after players nail him with a kicked football. Groupon insists the man isn't hit in the groin, although the ad video is ambiguous." "Cindy Crawford will reprise an iconic 1992 Super Bowl spot for Pepsi. The beverage maker will also feature Peter Dinklage and Morgan Freeman in linked ads for new versions of Doritos and Mountain Dew." "In a Pringles ad, Bill Hader has a snack on set and introduces a made-up practice dubbed 'flavor stacking,' in which the actor stacks together different Pringles varieties."